OPEN HOUSE - SUNDAY 28TH APRIL 10AM - 1PM AT THE MARKETING SUITE, NOW OPEN, SEE BELOW - Plot 2 is a superb 2 bedroomed end link house which offers spacious open plan living accommodation and the same level of quality that you can find throughout the development. The property is entered via the entrance hall with downstairs cloakroom, open plan living/dining room which leads through to the superb fitted kitchen to the ground floor, on the first floor are 2 double bedrooms and bathroom. There is a parking space to the front and Westerly facing rear gardens, perfect for the afternoon sun. We expect a high level of interest from first time buyers, buy to let investors and people looking to downsize, early reservations are advised. The Cedars is the second local development by Hammond Homes, following on from the nearby Oak Tree View development. Situated just off Eastern Inway the site gains its name from the range of Cedar trees fronting the road. The site will hold a total of 20 residential units ranging from 1 bedroomed quarter houses, 2 bedroomed, 3 bedroomed semi-detached houses, 3 bedroomed/3 storey semi-detached houses and 3 bedroomed bungalows, offering a range of properties for a variety of purchasers. Each property will be finished to the high standards which have been set in the Oak Tree View development including high quality fitted kitchens and bathrooms. Reservations can be made to ensure you can proceed with your chosen property. Composite front entrance door and radiator. Stairs to first floor. To be fitted with a low-flush w.c. and wash hand basin. A spacious open plan living/dining room with French doors and side lights leading to the rear garden and open plan to the kitchen. To be fitted with an excellent range of quality wall and base units with sink, oven, hob, extractor to be included as standard. A spacious double bedroom with two uPVC double glazed windows, radiator, recessed area for wardrobes and handy built-in storage cupboard. With two uPVC double glazed windows and a radiator. To be fitted with a three piece white suite comprising bath with shower over, low-flush w.c. and wash hand basin. Each of these properties have a good size rear garden which is partially laid to patio and Westerly in its aspect, enjoying any afternoon sun. There will be an allocated parking space to the front of the property. This property is available on the Government backed help to buy scheme. Contact our office for more advice and we can refer you to our mortgage advisors team that specialise in help to buy. 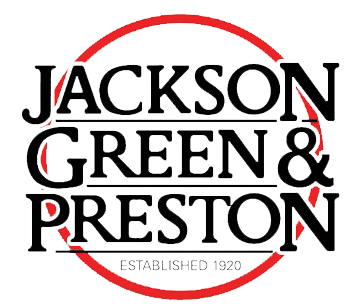 Jackson, Green and Preston are delighted to be able to offer our new homes assist scheme of this development, we work in conjunction with developers, Hammond Homes, to offer you a reserve and sale service in which you are able to reserve your chosen plot on this development, in addition, Jackson Green and Preston will offer your property for sale and not cost to you. This is a fantastic opportunity to reserve one of these new build homes whilst saving on Estate Agents fees. Terms and conditions apply, contact us for full details. Any floor plan provided is for guidance purposes only. It is not to scale and should not be taken as accurately reflecting all the property's features. Measurements are approximate and should not be relied upon.